The gaming world has undergone lots of advancements; today the latest console games provide a realistic gaming experience with interactive features. Players simply act in front of the console camera and the advanced sensor units detect their body movements to synchronize game characters accordingly. Indeed, the thought is quite awesome, but the sad truth is that not everyone can invest in expensive consoles. However, it doesn’t mean that you cannot enjoy these interactive games. If you are a crazy gamer, we can help you to get some PC alternatives of latest games, and they can be a part of your gaming routines for free. You can launch these games instantly on your PC and get started with the body movements to have real fun. Below we have highlighted details about top 6 webcam games that work perfectly on Laptop and PC platforms. Hope! This list will add up more value to your gaming hours. Here is a top-rated collection of various short duration flash games that work online and support webcam-based operations. In order to make your characters do something on the screen, you need to move your limbs, especially arms in a specific direction with exact motion so that desired job can be done. In one part of this game, players need to block the snowballs to defend his snow castle, and it can be done by moving hands in both directions. One more addition to this series is more interesting where the player needs to pop the green bubbles available on the screen while saving the red ones. You will love the graphics, background music and animations of this game. But note that its ability to sense your limb movements completely depends on the webcam quality. The great news for crazy gamers is that it is a two-player game where his player can have his personal paddle on one portion of the screen. This game has many features same as WebCam Mania along with various gaming catalogs. But you will love the way it adds few unique games in between and allow players to do experiments with advanced photo editing effects and filters. It plays 11 different games in series, and you can control them by simply moving your limbs including head, legs, and arms. People love the way developers have merged 3D modeling with this gaming platform while supporting awesome display features. But the sad part is that it does not support full-screen option, and the camera capture ability still needs some improvements. The best idea is to spend some time with its trial version; buy the package only if you like the stuff. 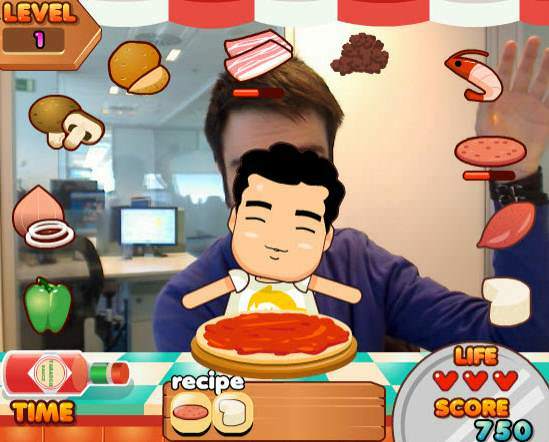 If you are a foody and Pizza is your favorite food; why not try making it yourself with an interactive gaming platform. Pizza King is a feature-rich flash game that works online, and it tests your memory ability along with speed. You will find all the pizza ingredients and pizza base on the screen; all that you need to do is point the right one with your hands and add it to the pizza. This recipe-based games will improve your cooking skills while leading to huge fun online. The major challenge of this game is to make maximum numbers of pizza within less time. But you must use maximum ingredients to get the best flavor. This game actually helps to improve the eye-to-hand coordination of players and can provide several benefits in real life as well. This game is available with single player and two player version that work perfectly on an interactive interface. Players simply need to manipulate the virtual balls with the help of body movements and hand-based controls. Users can make a selection for a variety of skins on this gaming platform, and it is also possible to update dimensions of the basketball field as per player preferences. 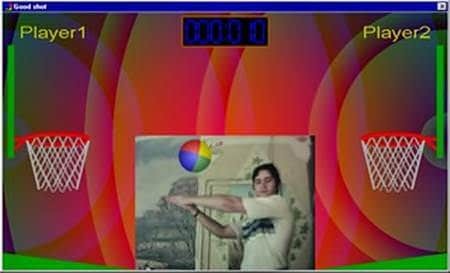 This webcam-based basketball game supports variable basket sizes, ball sizes, gravitational levels and ball rotations to add a special touch to the gaming experience. You can expect realistic game field experience with this online gaming platform. 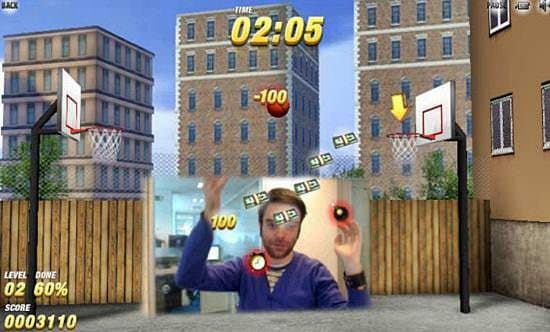 Here is another cool and feature-rich webcam-based basketball game that can be accessed directly from browser and Mac systems as well. Players can control ball motion by moving their hands in front of the camera. Although the graphics quality of this game is above average, most players rate it lower due to messy motion detection and ball physics abilities. This game can be played in two different modes; you can either switch to the multiplayer mode or the arcade mode. You need to collect maximum points by directing your shots very carefully and target your basket perfectly to move to the next level. If you are a true Ninja lover, this game has something special to make your gaming hours more interesting. Players can use any part of their body to defend against the aggressive and attacking ninjas. 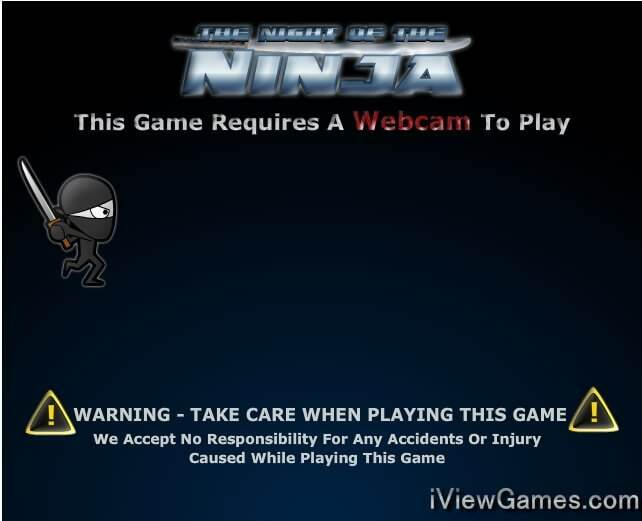 Although this game has gained lesser popularity in the webcam gaming world, those who love to explore fighting and ninja games will definitely find it valuable collection on the network. If you want your kids to learn something interesting while playing games online; why not try Scratch Studio. This platform is loaded with lots of interesting jigsaw puzzles and coding elements that can improve your gaming experience to a great extent. Scratch studio is actually designed to assist growing kids to learn basic concepts of programming in a visual way. This studio can be used by kids between the age group of 8 to 16 years, and it's easy to use interface makes everything more amazing for gamers. You can save your projects and can also share them with friends ahead. It is also possible to work on various coding projects in offline mode. Sadly, this platform does not work on mobile handsets, but you should definitely give it a try. Try Filmora scrn Screen Recorder Software to record your gameplay now.